Sunlight and photographers are becoming such rare commodities, I have therefore decided that photos should not be wasted. One of the woes of working mobile is that I tend to spend a lot of time working at home. Wait, who am I kidding. That’s the absolute best thing about working mobile. I go to the office (rather, offices – I now have three) as necessary but believe it or not, I usually spend my days in pajamas comfortably lounging around while working on tasks. The downside though is that as a blogger, I now rarely dress up and go out and when I do it’s usually “after office hours” so there’s either no sun or no photographer to hand my camera to on a normal basis. I got the chance to shoot with a brand of a friend last week and though I don’t have the layouts yet, I figured I’d share this quick photo of an Instax snap (Instax cameras are way handy, in my opinion), in a full AnnMarie outfit to be released soon. I’m 1) taking full advantage of the presence of a photographer (shoutout to Ber Garcia) and 2) taking full advantage of streaming sunlight – both of which are becoming rare commodities in my day-to-day existence. Will share the photos once they’re up. 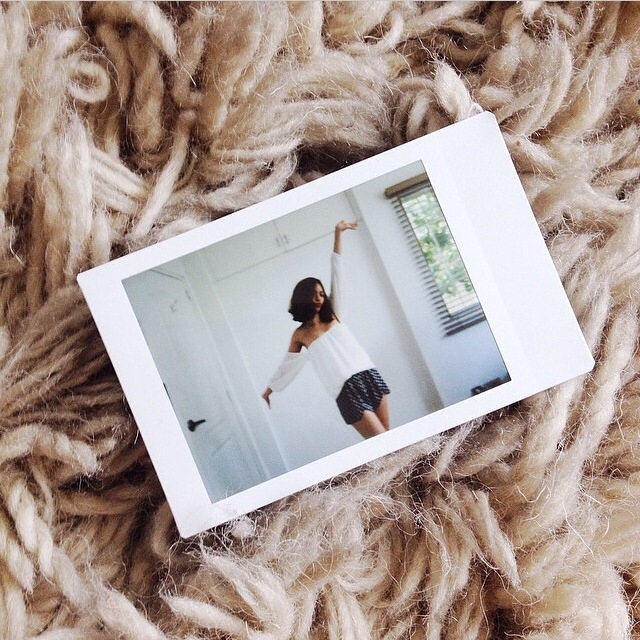 In the meantime, Instax it is!